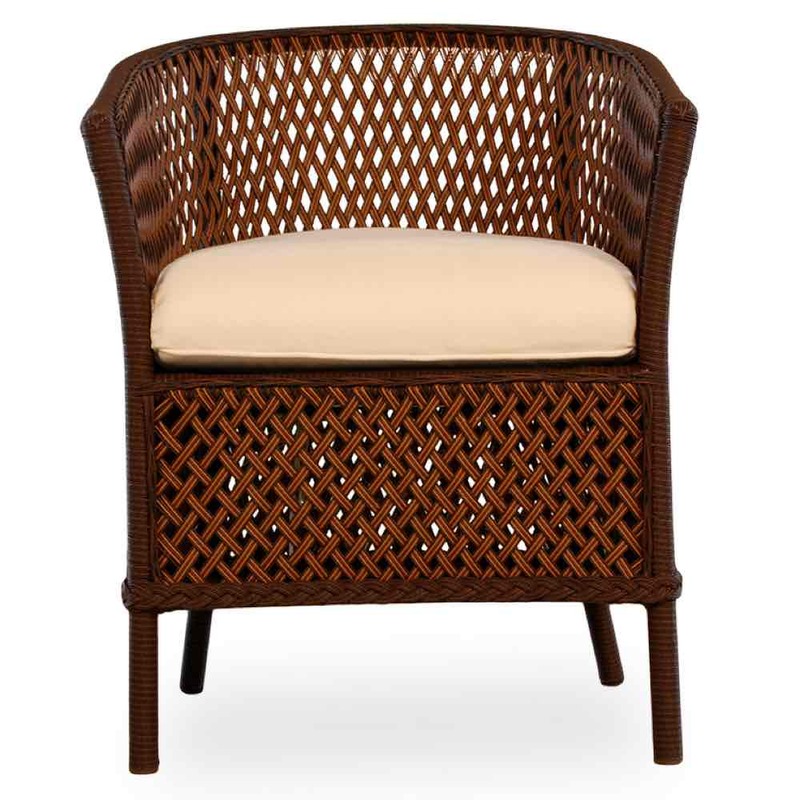 Grand Traverse outdoor wicker barrel dining chair is a classic vintage dining chair with open weave wicker design and Lloyd Flanders® premium Cloud Cushioning for comfort and relaxation. Offers sturdy aluminum frames and SunLoom vinyl woven wicker for long lasting durability and alluring character. 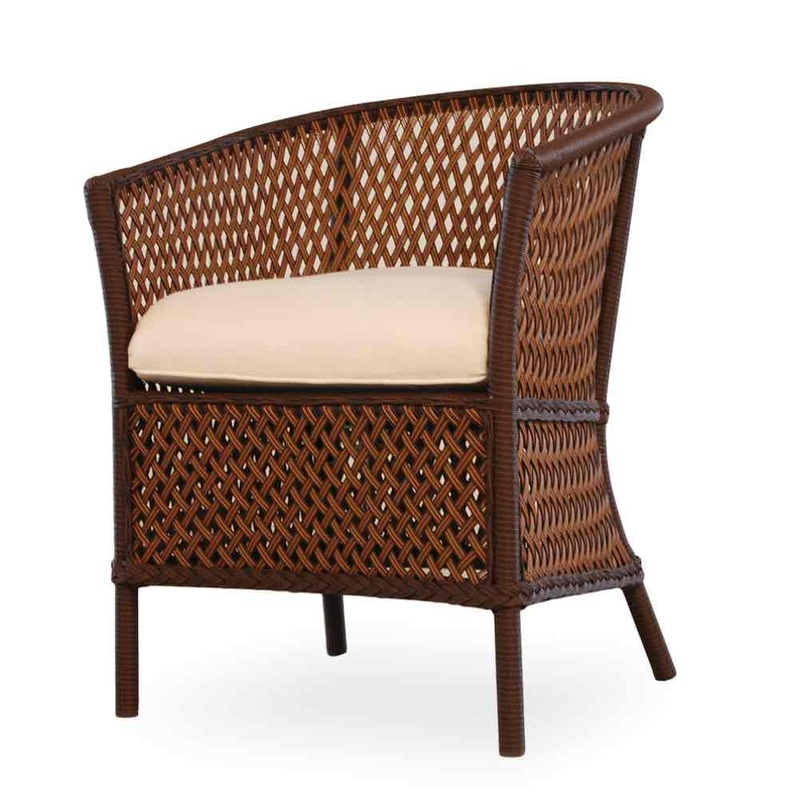 Classic vintage design with deep seating Sunbrella® cushions for luxury and comfort. Finish made of High Density Polyethylene (HDPE) resin for the best outdoor protection. 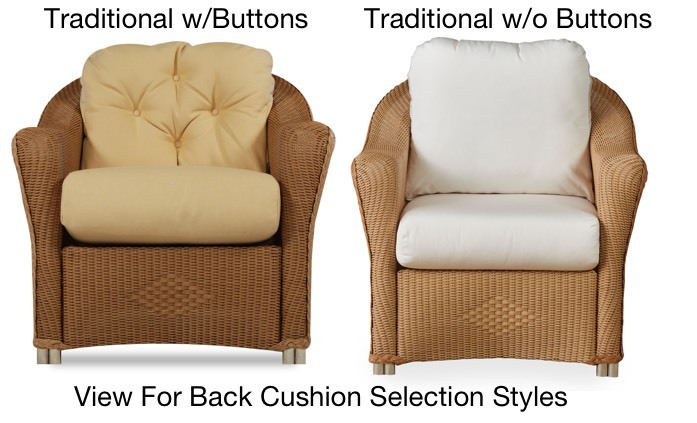 Cushions are not available with welt.